On Sunday February 10, 55 years old Prince Bedemariam Mekonen, one of the grandsons of Ethiopia’s last King, Haile Selassie I, went to the African Union Headquarter in Addis Ababa with excitement to attend the inauguration of the statue erected to remember the Emperor. 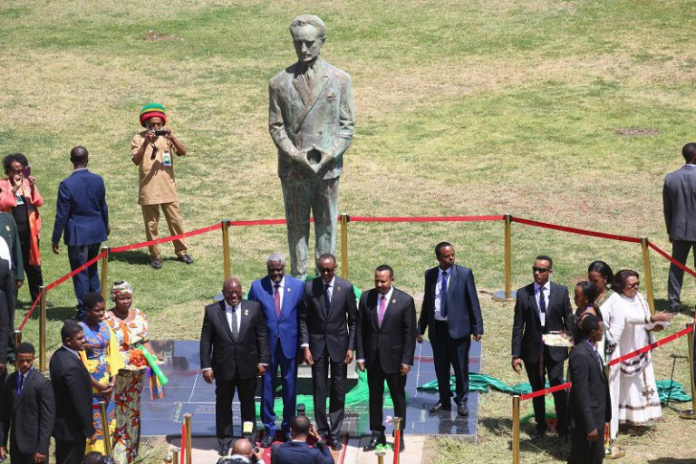 Emperor Haile Selassie, one of the founding father of the then Organization for African Unity (OAU), now African Union (AU) has got a commemorative statue in the compound of AU Headquarter in Addis Ababa. Statue of Ethiopian Emperor was unveiled by Prime Minister Abiy Ahmed and other African leaders including African Union Commissioner, President of Egypt, Rwanda, and Ghana among others. The statue is a significant recognition to the contribution of the last King of Ethiopia, Emperor Haile Selassie I, who led the country from 1930 to 1974 until deposed from power by the military junta, for the liberation and unity of Africa leading up to the founding of the OAU in 1963. The Emperor was also a mastermind behind the Pan-Africanism movement that aims to encourage and strengthen bonds of solidarity between all people of African descent worldwide. “This is a special moment for our royal family which we were wishing his majesty would get a monument for his fabulous contribution in the establishment of the African Union,” Prince Bedemariam told ENA during the event. Many agree that Emperor Haile Selassie had played crucial role for the establishment of the OAU, in which its establishment seems impossible due to a major rift created between African leaders on how the concept of African Unity should be implemented. The disagreement among leaders resulted in the creation of two separate groups – the Monrovia and Casablancagroups – that had opposing philosophical beliefs regarding the implementation of African Unity. “His role in establishing the Organization for the African Unity (OAU) has not been underestimated and forgotten. For me, it is a continental pride and this statue erected by the union is really deserves Haile Selassie’s contribution,” he added. As the philosophical differences between those groups in the late 50s and early 60s continued to grow, the prospects of establishing a single organization that represents the continent appeared to be unattainable. 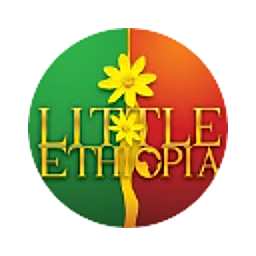 It was during this critical period in the continent’s history that Ethiopia decided to intervene and work to bring the two groups to one. The visionary leadership of Emperor Haile Selassie I and relentless diplomatic efforts of the then Foreign Minister of Ethiopia, Ketema Yifru directed the groups to reconcile their differences, thus ending the growing rift. For delegates of the AU, who witnessed the unveiling, commemorating Emperor Haile Selassie I is appreciable and inspirational, as the move manifested the continental recognition for his noble contribution. Professor Michael Chege from Nairobi University said the statue is “a fitting tribute to a great man who contributed so much”. History always reminds the speech that Emperor Haile Silassie I delivered to the two splinter groups at the conference of African leaders held in Addis Ababa. The Emperor’s diplomatic skill and wider acceptance in both groups has helped Haile Selassie to play crucial role in compromising dereferences among the groups and led the way to form a single organization. The statue would help Africans to commemorate and be committed for Emperor Haile Selassie’s robust pan-African legacy to see a united and prosperous Africa.